Calling all classroom changemakers! Are you a PBS Digital Innovator? Learn how you can enter to win a special professional development opportunity – which includes an all-expenses-paid trip to San Antonio for the 2017 ISTE conference – by sharing your unique approach to thoughtful tech integration in the classroom. Entries must be submitted to PBS LearningMedia by Feb. 13. Apply, or find additional information, at pbs.org/education/digitalinnovators. Join Arkansas chef Steven Brooks of Bella Vista for a new weekly program with an emphasis on local farmers, restaurants, chefs and, of course, delicious food! In the series premiere Jan. 7 at 5 p.m., Chef Brooks shares one of his passions: working locally to help end food insecurity. The episode begins with a visit to Tri Cycle Farms – a community garden on two acres of land in the heart of Fayetteville – to learn how founder Don Bennett is growing community through soil. The next stop is Greenhouse Grille, where local chefs come together to help raise money for Tri Cycle Farms at the Ozark Beer Dinner. Learn more and find recipes at aetn.org/cookwithbrooks. 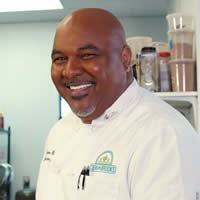 "Cook With Brooks," Saturdays at 5 p.m. beginning Jan. 7. "Barnes and… A Conversation With"
In a new, three-episode series of our current affairs series, join veteran journalist Steve Barnes as he discusses "Prisoners of Hope: Lyndon B. Johnsons, the Great Society and the Limits of Liberalsim" with author and historian Randall Woods; the future of newspapers and the current state of democracy with veteran journalist, foreign correspondent and Pulitzer Prize finalist Ray Moseley; and "Anti-Catholicism in Arkansas: How Politicians, the Press, the Klan and Religious Leaders Imagined an Enemy, 1910-1960" with author and University of Central Arkansas professor Kenneth Barnes. Mondays at 6:30 p.m., beginning Jan. 9. 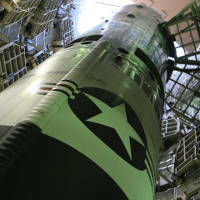 "American Experience: Command and Control"
Discover the terrifying truth behind one of America’s most dangerous nuclear accidents – the deadly 1980 incident at a Damascus, Arkansas, Titan II missile complex – in this chilling, minute-by-minute account of the long hidden story. Tuesday, Jan. 10, at 8 p.m. Following the premiere, in a special rebroadcast of "Barnes and … A Conversation With Eric Schlosser," explore "Command and Control: Nuclear Weapons, the Damascus Accident and the Illusion of Safety," the book that inspired the "American Experience" film. Tuesday, Jan. 10, at 10 p.m.
"Paint With Kevin: Season 3"
Kevin Hill kicks off 2017 with an all-new, 13-episode season of the oil painting series. Following a fresh two-part format, he will also show you advanced techniques for painting different elements such as trees, water, grass and much more. With his calm reassuring style, you can practice and create your own stunning landscapes and seascapes. Saturdays at 10 a.m., beginning Jan. 7. 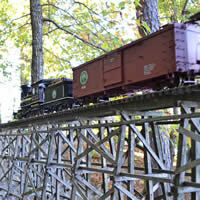 This month on "Exploring Arkansas" host Chuck Dovish joins in The Ozark Folklife Festival at Tyler Bend along the Buffalo National River; checks out a backyard steam railroad built along the shores of Greers Ferry Lake; drives along the Ozark Highlands Scenic Byway north of Clarksville; and takes a ride with a mule team wagon train excursion near Cozahome along Big Creek. Wednesday, Jan. 4, at 6:30 p.m. Repeats Wednesday, Jan. 19, at 6:30 p.m. This month, Phyllis Speer is cooking up four perfect winter dishes. Begin with a quick and easy dish, Cupboard Stew, followed by Harvest Stew with Pepper Biscuits – the perfect winter staple with a Phyllis twist. She follows that with a venison dish that will please any crowd, Campfire Stew. The episode wraps up with a meltin- your-mouth dish of Duck and Mushroom Soup. 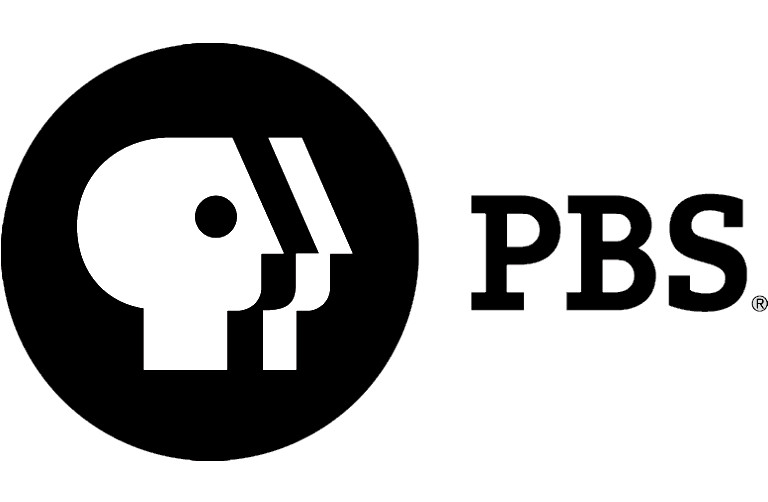 Tuesday, Jan. 17, at 6:30 p.m.
Beginning Monday, Jan. 16, we’re launching AETN PBS KIDS to continue our commitment to early learning in Arkansas. Tune in or via a live stream for easy viewing of your children’s favorite series during primetime and other after-school hours. The live stream is available through pbskids.org and on the PBS KIDS Video App, which is available on a variety of mobile devices. 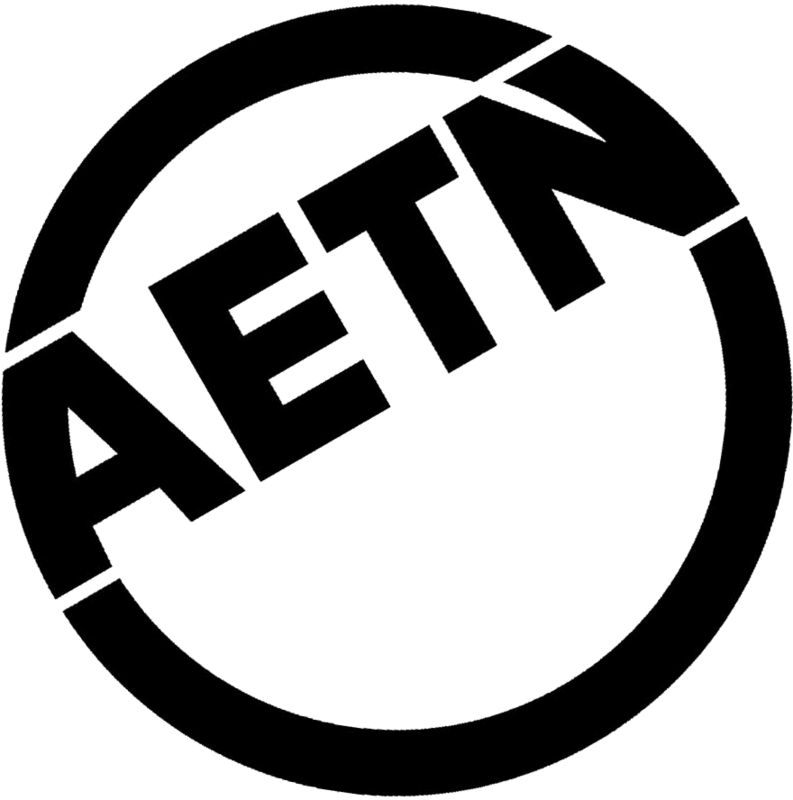 Additional information is available at aetn.org/channelinformation. 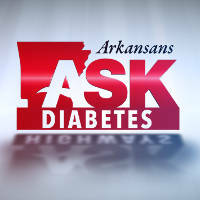 According to a study by the Arkansas Department of Health," …the prevalence of diabetes has reached epidemic proportions in Arkansas." This episode will discuss the statistics, as well as the diagnosis, treatment and preventive measures surrounding diabetes. Share your questions for the expert panel during the live broadcast at 800-662-2386, paffairs@aetn.org or on Twitter with #ARAsk. Thursday, Jan. 19, at 7 p.m.
January’s episode explores potential relations with Cuba. What would the opening of trade to Cuba mean for the state’s agriculture? This episode also looks at African-American agricultural achievements in Arkansas and features an interview with Gov. Asa Hutchinson. Sunday, Jan. 29, at 1 p.m.
"Men and Women of Distinction: Korto Momolu"
Forced from her African home by a violent coup as a little girl, Korto Momolu held firm to her dreams and rose to the top of high fashion. She first burst onto the scene on the reality series "Project Runway" and never looked back, becoming a fixture at New York’s fashion week and building on her desire to make couture available to all women. Momolu now knows that home is where the heart is – and her heart is here in Arkansas. Monday, Jan. 30, at 6:30 p.m.
Jan. 6: "AETN Presents: On the Front Row With Claudia Burson Trio," 6:30 p.m., and "In Jackson Heights," 8 p.m.
Jan. 13: "AETN Presents: On the Front Row With The Shannon Boshears Band," 6:30 p.m., and "Great Performances: Bel Canto the Opera," 8 p.m.
Jan. 20: "AETN Presents: On the Front Row With The Ted Ludwig Trio," 6:30 p.m.; "Great Performances – Landmarks Live in Concert: Alicia Keys," 8 p.m.; and "American Masters – August Wilson: The Ground on Which I Stand," 9 p.m.
Jan. 27: "El Latino," 6:30 p.m.; "Great Performances – Landmarks Live in Concert: Brad Paisley," 8 p.m.; and "American Masters: Loretta Lynn," 9 p.m.
Jan. 8: "Sherlock – Season 4: The Six Thatchers," 6 p.m., and "Sherlock – Season 4: The Lying Detective," 8 p.m. and 9:35 p.m.
Jan .15: "Sherlock – Season 4: The Final Problem," 6 p.m.; "Victoria: Doll 123," 8 p.m.; and "Sherlock – Season 4: The Final Problem," 10 p.m.
Jan. 22: "Mercy Street: Balm in Gilead," 7 p.m.; "Victoria: Brocket Hall," 8 p.m.; and "Secrets of the Six Wives: Divorced," 9 p.m.
Jan. 29: "Mercy Street: The House Guest," 7 p.m.; "Victoria: The Clockwork Prince," 8 p.m.; and "Secrets of the Six Wives: Beheaded, Died," 9 p.m.